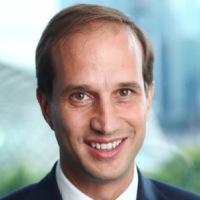 Former Credit Suisse South East Asia chief executive Francesco De Ferrari has been named as AMP’s new boss, effective 1 December 2018. AMP has announced this morning that Mr De Ferrari will take over from Mike Wilkins, who had been acting as interim CEO since April. Prior to joining AMP, Mr De Ferrari spent 17 years at Credit Suisse where he served as chief executive, South East Asia and frontier markets, as well as heading up private banking in Asia-Pacific. The appointment means Mr Wilkins will work with Mr Ferrari during the handover period and return to the board as a non-executive director. AMP chairman David Murray said Mr De Ferrari was an “outstanding leader with a strong track record in international wealth management and extensive experience in redesigning business models to drive turnaround and growth”. The AMP board had conducted “an extensive global search” in order to find a suitable leader, Mr Murray said. The AMP chairman added that Mr De Ferrari had established “a culture that balanced the interests of clients, shareholders and all other stakeholders” during his time at Credit Suisse. “We have designed a remuneration structure to drive the recovery of AMP and recognise the degree of challenge in the task ahead. Commenting on his own appointment, Mr De Francesco described AMP as an “iconic Australian company with strong, market-leading positions in wealth management, insurance and asset management” and said he felt privileged to be selected to the role. “Throughout its history, AMP has been driven by a strong sense of purpose, helping customers plan for tomorrow and supporting them through the critical moments of their lives." He also noted that 2018 had “clearly been a challenging year for the business”. "I’m confident we can earn back trust which will underpin the recovery of business performance. Mr De Ferrari will serve as an executive director to the AMP Limited board when it has its first meeting in January 2019.